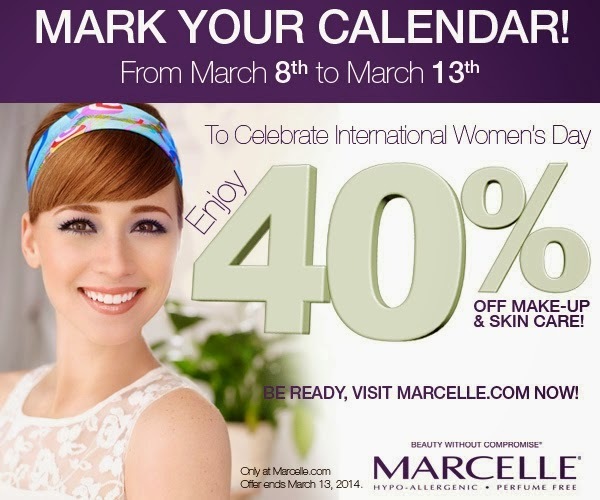 Just wanted to let you guys know that Annabelle Cosmetics and Marcelle are celebrating International Women’s Day with a 40% off sale March 8-13, 2014. 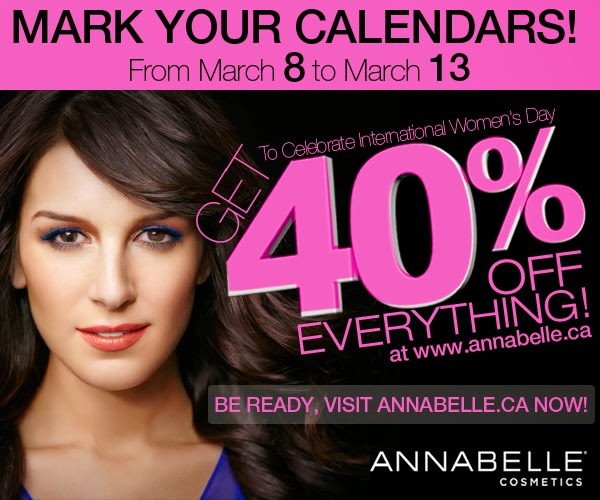 At Annabelle.ca, all orders will receive a free Shenae Grimes-Beech BIGSHOW Lip Shine. Plus orders over $55, will receive a subscription to Lou Lou magazine (8 issues). Use promo code WOMEN at checkout. Both sites have a rewards points system. So you will also gain points for future purchases. Annabelle and Marcelle ship to both Canada and the US. I am definitely going to stock up on some more Annabelle Skinny Brow Liners, a couple of the Twist-ups, some Marcelle X-tension Plus mascara for sure! Maybe some Marcelle DD cream? I will be up browsing for awhile now!